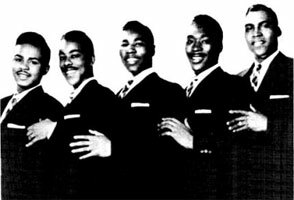 Groupe Doo Wop US, les Dubs (aka Five Wings, aka The Scale-Tones aka The Marvels) ont été formé à la fin des années cinquante par Hiram Richard Blandon, Billy Carlisle, Cleveland Still, Jake Miller et Thomas Gardner. ils enregistraient à New York chez Gone Records. En 1959, ils signent avec ABC. 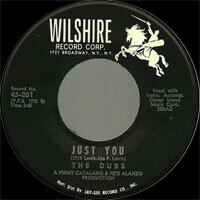 Les Dubs ont été dissous au milieu des années soixante et se sont reformés quelques années après avec Richard Blandon et Cleveland Still et ont enregistré par la suite pour Josie, Wilshire, Clifton et Vicki Records. 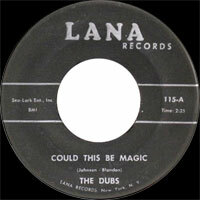 The Dubs had a long career, from the late '50s through the '80s, but are best remembered for their enduring Top 40 doo wop classic "Could This Be Magic," one of the more memorable songs of 1957. During the early '50s, the group developed out of two short-lived Vocals acts: the Five Wings and the Scale-Tones. The Harlem-based Five Wings (originally "the Five Stars") were Jackie Rue (lead), Frank Edwards (first tenor), Billy Carlisle (second tenor), Melvin Flood (baritone), and Tommy Grate (bass). 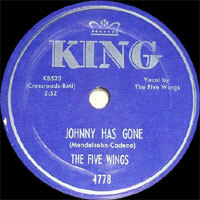 The group recorded a few singles -- including two posthumous tributes in early 1955 to Johnny Ace -- for King Records. Three of the Five Wings (Edwards, Flood, and Rue -- the latter going on to become the lead of Jackie and the Starlites of "Valerie" fame) quit the group, prompting Carlisle and Grate to join up with Kenny "Butch" Hamilton (formerly of the R&B group, the Sonics, who recorded for Groove) and soon added backing Vocalsist Billy Nelson. Soon after their initial November 1955 session, Carlisle's cousin Richard Blandon joined the group after leaving the Air Force. Now the four were five. 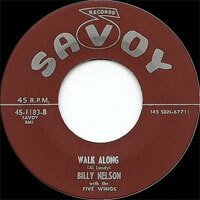 In February 1956, they released the single "Walk Along." 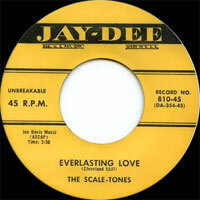 The Five Wings soon met up with another Harlem-based group, the Scale-Tones, (who had just recorded their first and only single for Joe Davis' Jay Dee label). The Scale-Tones were Cleveland Still (lead), James Montgomery (tenor), Jake Miller (aka James Miller, baritone), and Thomas Gardner (bass). After some prompting by Blandon (who wanted to sing lead), a new group emerged from the two. This lineup featured Richard Blandon (lead), Billy Carlisle (second tenor), Cleveland Still (first tenor), Jake Miller (baritone), and Thomas Gardner (bass). The Five Wings' manager, Hiram Johnson (brother of famed musician and bandleader Buddy Johnson), offered to manage the new group. Meanwhile, the remaining members of the group joined other acts: Grate joined the Vocalstones (Apollo), while Butch Hamilton joined the Bop Chords (Holiday). The Blandon-led group -- at first calling themselves the Marvels (not to be confused with the Mar-Vells) -- were inspired by other popular doo wop groups of the day, including the Harptones, the Wanderers, and the Spaniels. They were signed to ABC Paramount Records late in 1956 and issued their first single in November. Manager Johnson later decided to form his own label, Johnson Records, and in early 1957, the Marvels changed their name to The Dubs. 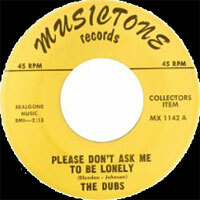 Their first single under this moniker -- the Blandon-penned "Don't Ask Me to Be Lonely" -- was released in March. 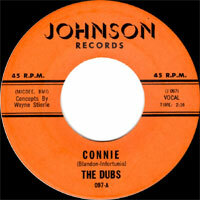 Radio jumped on the single immediately and Johnson soon found himself with a local hit that required a national distributor, so he met with George Goldner (of Gee/Gone/Tico fame) and The Dubs soon found themselves on Goldner's Gone label. 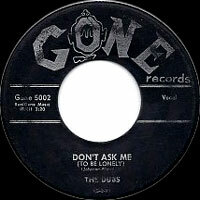 On July 15, some five months after its initial release, "Don't Ask Me" finally made its way on to the national pop charts, peaking at number 74, though it was Top Ten on many local East Coast radio station surveys at its high point. In August, just before the quintet returned to the studio, bassman Thomas Gardner left and was replaced by former Five Wings bassman Tommy Grate. Next up was Blandon's "Could This Be Magic" and by the first week of November, The Dubs had their second national pop Top 40 song of the year. It would ultimately become their biggest hit, rising to number 23. 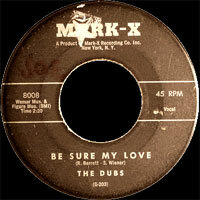 Surprisingly, "Could This Be Magic" (nor any of the other Dubs singles for that matter) ever landed on the R&B charts. The Dubs continued to tour extensively in the U.S. and Canada. Subsequent singles from the group failed to connect, however. In November 1958, after the group's "Chapel of Dreams" was released to little reaction, The Dubs, disappointed over the meager earnings in their chosen career, decided to call it a day. In July 1959, some eight months after its initial release, "Chapel of Dreams" was reissued by their label and by this time, Cleveland Still was already working as a shipping clerk when he heard the song on the radio. The single quickly jumped into the Top 100 on August 24th, rising to number 74 after six weeks, and proved to be the Dubs' last charting single (even after the group had given up recording together). He still couldn't believe what he was hearing and continued to work, but it didn't go unnoticed by the rest of the group. The other Dubs -- thinking they were being given a second chance -- came together again, replacing Still with Cordell Brown, and they re-signed with ABC Paramount, the same label they were with three years before as the Marvels. 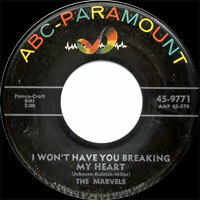 Though all five of their second wave of ABC singles were fine recordings, their two year run -- from November 1959 to November 1961 -- yielded no results. Still eventually returned for one final ABC-Paramount single, "Down Down Down I Go." In early 1962, they were going back to Goldner for one End release, one Gone release, and one for Wilshire. 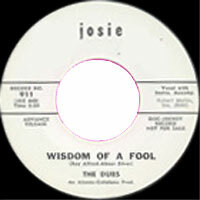 In 1963, Cordell was back up in the lineup, replacing Still for the second time, and The Dubs signed with Josie to record for one side of an album, called The Dubs Meet the Shells, (in the tradition of The Paragons Meet the Jesters). By the '70s, The Dubs were still clinging to life, now as a trio featuring Blandon, Still, and Kirk Harris (tenor). This new Dubs trio recorded an LP of previously recorded Dubs songs for the Candlelite label. David Shelly (baritone) joined in 1973 for two more singles, but the Dubs' popular chart successes were clearly behind them. In 1973, four unreleased sides from the early 1957 Hiram Johnson session showed up on his Johnson Records and were more than likely purchased by collectors only. All total, The Dubs (at least the groups featuring lead Vocalsist Richard Blandon) recorded for ten record labels, from the '50s through the mid-'70s, but never enjoyed much in the way of success or made any headway outside doo wop circles. In the '80s, Cleveland Still returned with his own Dubs oldies group, whose lineup featured Bernard Jones (of Doc Green's Drifters), Steve Brown and John Truesdale (of the Charts), and Leslie Anderson. 1957 SP JOHNSON 098 (US) . DUBS - I Won't Have Breaking My Heart / ?